The new X-Series flagship shows a lot of potential. The long-awaited Fujifilm X-T2 finally made its debut last week, bringing with it a completely revamped set of specs compared with its predecessor, the X-T1. One of the highlights of the new compact shooter is its 4K video support -- a first for Fujifilm's X-Series line of digital cameras. But there's more to like here beyond the UHD (3,840 x 2,160) recording. Inside, the mirrorless X-T2 packs a 24.3-megapixel (APS-C) X-Trans CMOS III sensor, the same one found on the flagship X-Pro2. That's complemented by the X-Processor Pro imaging chip, which the manufacturer says uses enhanced algorithms to help produce its most accurate autofocus system yet. The X-T2's AF is fast and precise, especially if you're coming from an X-T1 or, dare we say it, even an X-Pro2. So far, I haven't come across any subjects, still or moving, the camera couldn't handle. That said, I won't make any final judgements until I've tested it in low-light conditions and more challenging scenarios than a day out in New York City. 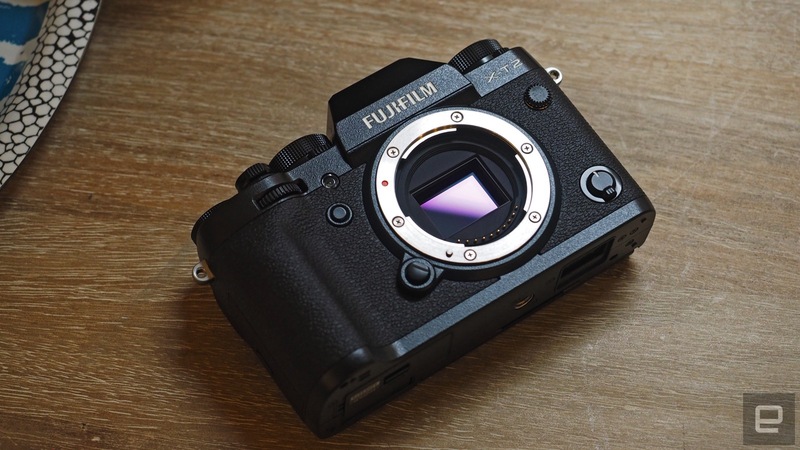 Along with our review unit, Fujifilm sent an XF10-24mm Fujinon lens with optical image stabilization, which is the only glass we've been using on the X-T2. Stay tuned though, as we'll have a more in-depth story before the X-T2 hits stores in August. For now, here are some photos taken with Fujifilm's latest mirrorless shooter. To view our sample images in full resolution, click here.